Local author documents the Archbishops of Canterbury and their colourful characters. 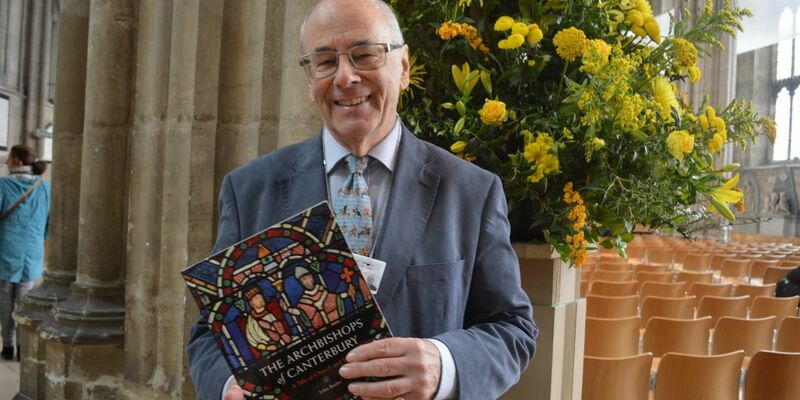 Cathedral volunteer and acclaimed author, John Butler will be signing copies of his much anticipated book The Archbishops of Canterbury – A Tale of Church and State on Sunday 26 November between 12:30 – 14:30 in the Canterbury Cathedral Shop. The office of Archbishop of Canterbury is the oldest continuous institution in Britain – older than the English crown and much older than Parliament. The book, packed with colour illustrations, documents all 105 Archbishops of Canterbury, and considers how they have played their part in shaping the profound transformation of the country. Over the centuries, three Archbishops of Canterbury have been executed by the state and a further two have met violent deaths at the hands of lawless mobs. Some have held office for decades, others for only a few days. The Archbishops of Canterbury – A Tale of Church and State is the story of them all – the great and the good, the timid and the weak, the brave and the strong, the vain and the humble. John Butler is an emeritus professor at the University of Kent and he volunteers as a guide at Canterbury Cathedral once week. He is the author of the acclaimed The Quest for Becket’s Bones and the prize-winning Red Dean of Canterbury which received rave reviews from The Daily Telegraph; appeared in the 2011 Church Times – books for Christmas list and was awarded the title of New Statesman Book of the year. The Archbishops of Canterbury – A Tale of Church and State is available to buy for a limited time through the Cathedral shop at a discounted priced of £9.99 prior to its national release in Spring 2018. All money raised from the sale of the book will go to the Cathedral. Sunday’s book signing will be held in connection with ‘Museum Shop Sunday’ part of the ‘Culture Shop Weekend’ in addition to which the shop will have various treats for tasting including jams, mead and fudge, a free Carols CD on website orders over £10 and a free Christmas decoration with in-store purchases over £10.